Sensor Interchangeable Amplifier eZT | IMADA CO.,LTD. It is eZ-Connect series amplifier. Uses with eZ-connect series load cell. You can interchange the connected load cell without an adujustment. For various types of force measurements. 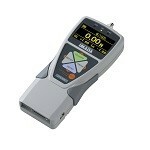 The 2000Hz high speed sampling rate captures accurate force values of testing. The LED lamps above the amplifier help easy checking whether the displayed force is between setting points. 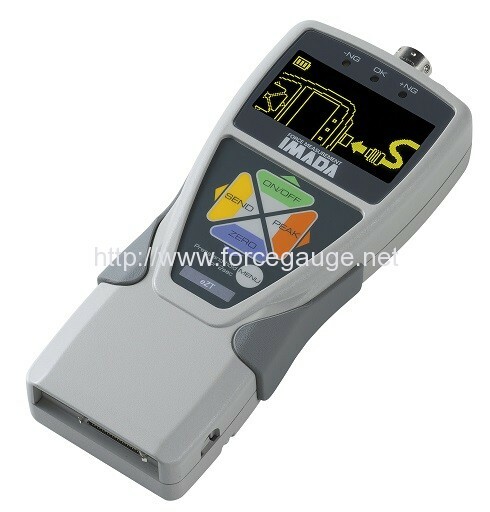 It equips a lot of useful functions for force measurement. Pass/Fail decision and more. High-operability force measurements are possible. Many types of output signals are available such as USB, analog , RS232C, displacement I/O, USB flash drive and more. 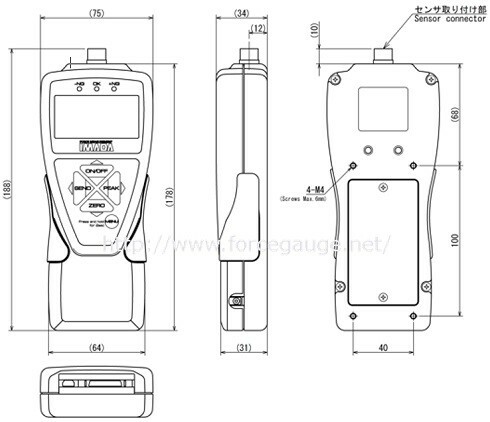 Using including software ZT logger, it is able to output the data stored in the internal memory to a PC. force-displacement measurement is possible. 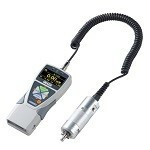 It is ideal for detailed analyses. load cell (see each specification sheet). 2. Please calibrate before using eZ-Connect series. The amplifier is not calibrated with any load cell. Please request calibration for each combination and calibration report if required (available at a charge). For more accurate testing at a difficult place for reaching or mounting a regular-type force gauge. Output USB, RS232C, Mitutoyo digimatic (*4), 2 VDC analog output (D/A),Comparator 3 steps (-NG/OK/+NG), Overload alarm, Sub comparator 2 steps (output of large or small judgment), USB flash drive, Displacement. *2 The accuracy of load cell is added when using connected with a load cell. *7 USB flash drive is not included.